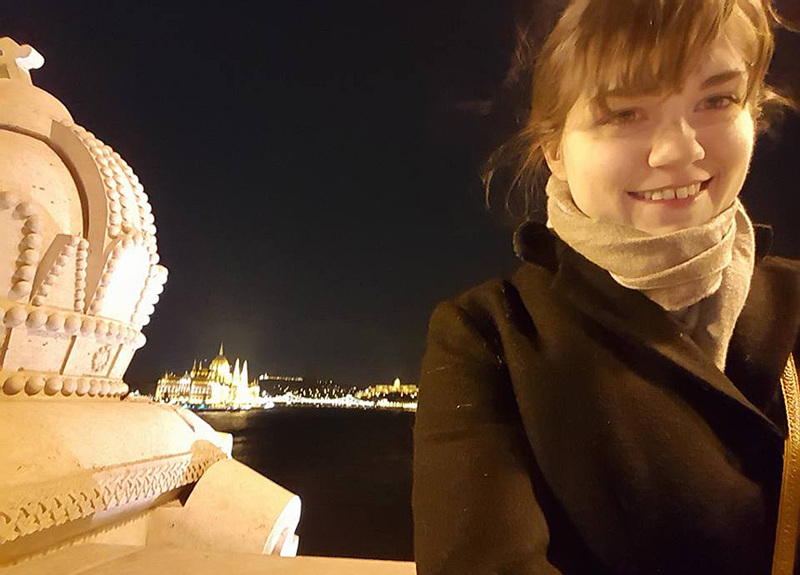 “Studying in an entirely different country removes any tethers you have to immaturity,” says Maggie Curtis, who studied in Budapest, Hungary, during the spring of 2016. Maggie Curtis ’17 came back from studying abroad during the spring 2016 semester with 12 credits to count toward her computer science major. “From learning about an entirely new culture as well as other cultures in different countries, to mastering how to navigate cities, study abroad taught me how to be an adult,” says Curtis, who attended the Aquincum Institute of Technology in Budapest. “While studying in college changes you and allows you to grow as a person, studying in an entirely different country removes any tethers you have to immaturity. Curtis, who is also majoring in English, said she received “plenty of support” from the staff in the computer science department and the University’s study abroad office in planning her semester abroad. BAGázs was a particularly memorable experience for Curtis. The program enables the children of Bag, a poor Roma settlement in the countryside, to spend a weekend with AIT students, playing games and getting to know each other. AIT staff and program counselors cautioned Curtis and the other students ahead of time that the children might be unruly and get into fights. 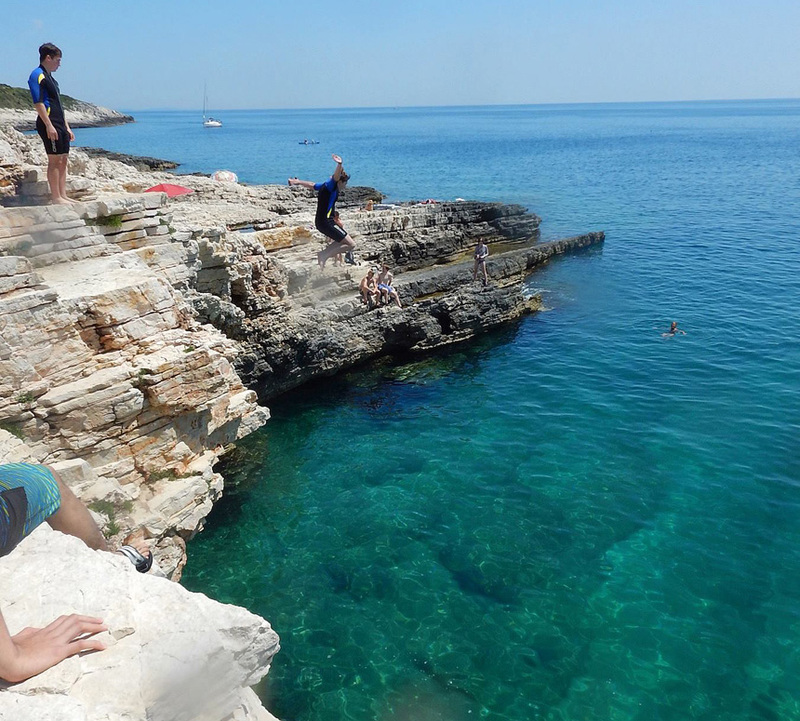 Maggie Curtis leaps from a cliff into the Adriatic Sea at Pula, Croatia, a city known for its ancient Roman structures.